Please Read This Important Notice! Please be sure to review all information before proceeding. Interlibrary loan statistics reports for the 2014-2015 school year will be uploaded when reports have been finalized by RLINK Staff. If you notice an error or discrepancy in the report, please send an email to the RILINK ILL Help Desk at ill@rilink.org. Please include your name, email address, phone number, the school name and LORI code, and a detailed clarification of the correction that needs to be made. Revised reports will be uploaded within a few days. 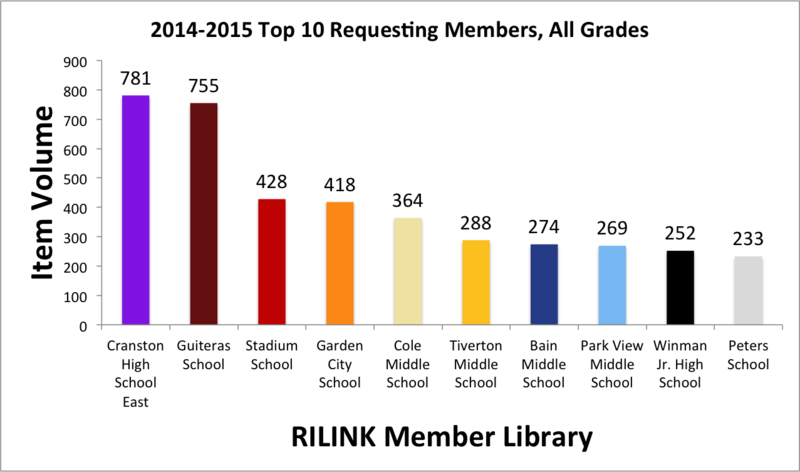 If a RILINK member library's 2014-2015 ILL statistics are not listed, that means no ILL statistics were submitted, and/or that library was not LORI certified or did not participate in interlibrary loan during the 2014-2015 school year. Reports are filed according to district or town and then alphabetically by the school library's LORI (Library of Rhode Island) code. To look up a library's LORI code, please see the LORI Library and Delivery Schedules search page. Please contact the RILINK ILL Help Desk at ill@rilink.org with any questions. 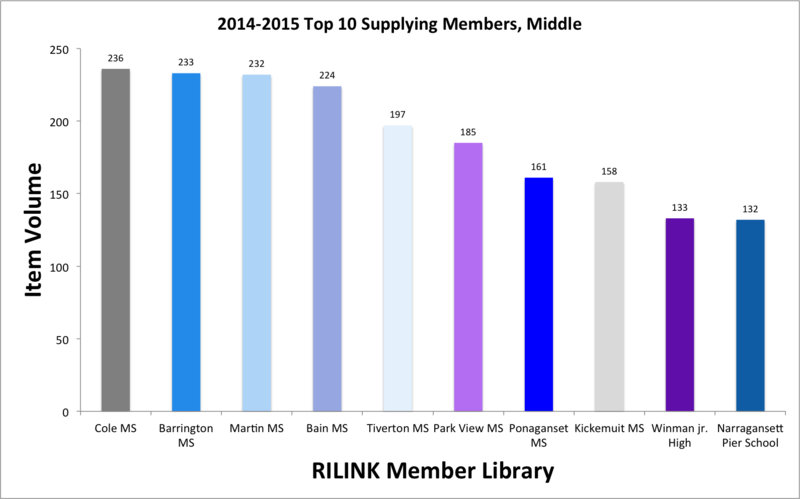 Thank you for supporting RILINK's mission by actively participating in resource sharing and interlibrary loan! 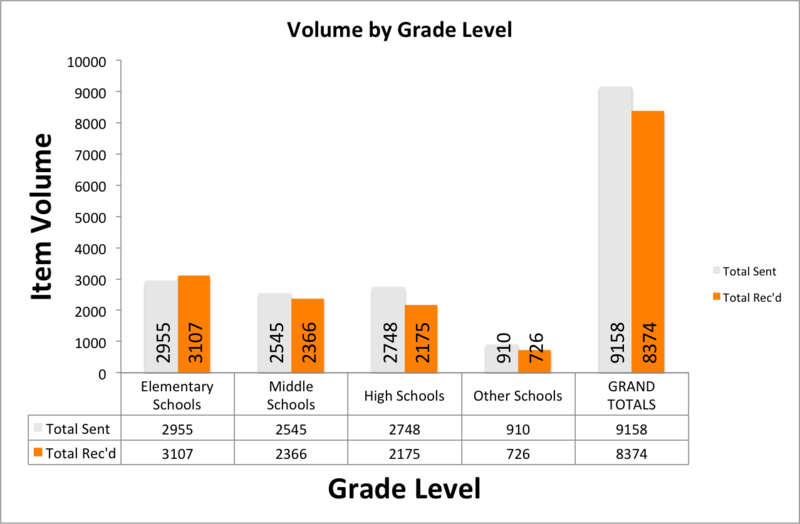 Includes totals by grade level. Have general questions about recording and reporting ILL statistics monthly? See this FAQ. Can't find your school library's 2014-2015 ILL statistics report, or need to notify RILINK staff about an error? Send an email to the RILINK ILL Help Desk at ill@rilink.org. Please include your name, email address, phone number, school name and LORI code, and a detailed clarification of the correction that needs to be made. 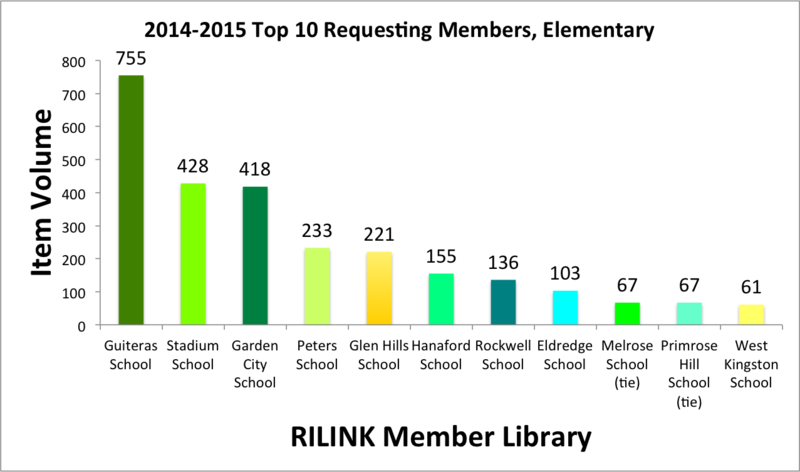 As time permits, RILINK Staff will post analysis of interlibrary loan statistics for each school year. Such analysis is meant to showcase the hard work and enthusiasm of RILINK member libraries who go to great lengths to share resources for both their own students and faculty and those of other member schools. Questions about the interlibrary loan statistical analysis posted here should be directed to the RILINK ILL Help Desk at ILL@rilink.org. 103 member libraries (64%) were up-to-date on LORI membership, making them eligible to participate in resource sharing and interlibrary loan (ILL). 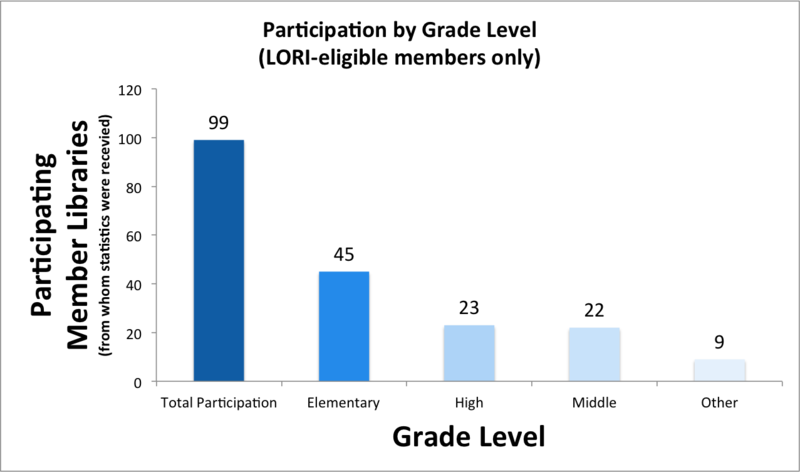 Of these 103 LORI-certified member libraries, 99 (or 96%) submitted ILL statistics. 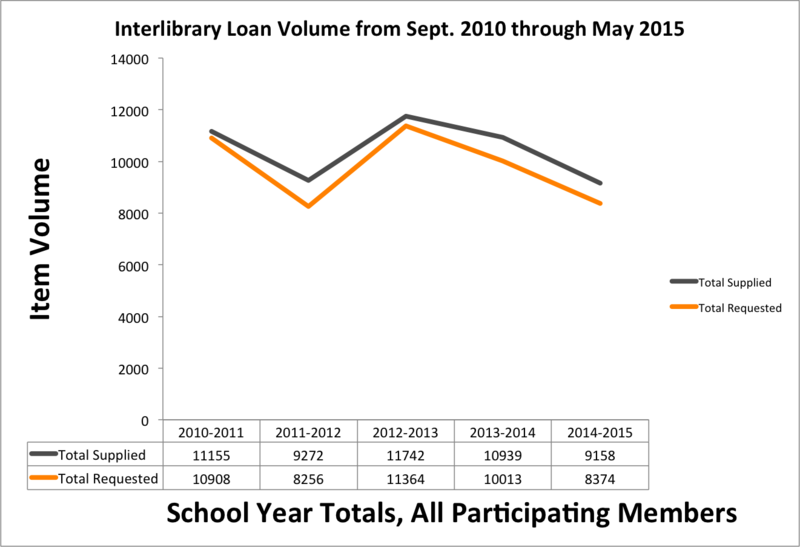 Of these 103 LORI-certified member libraries, 88 (or 85% of those eligible) actively participated in interlibrary loan, meaning that at least one item was successfully requested or successfully supplied during at least one month of the school year from September through May. ​For more statistics, please visit the tabs above.